The three words that express the meaning of the Irish Claddagh. 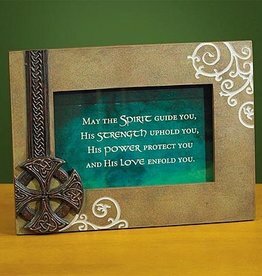 Paired with Celtic designs, they make this metal picture frame really speical. 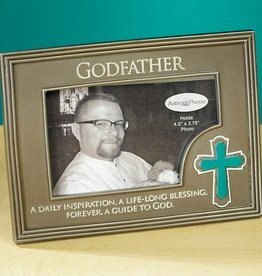 Frame is crafted of resin with a stone-look texture and antique metal-toned detail. 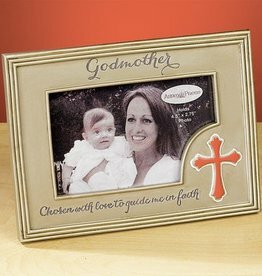 Displays a printed facing that can be replaced with a 6" x 4" photo. Easel backer. 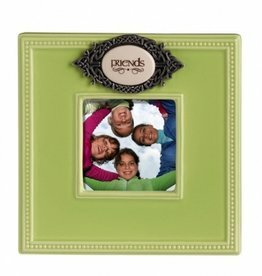 Ceramic light green picture frame that holds a 3"x3" picture. 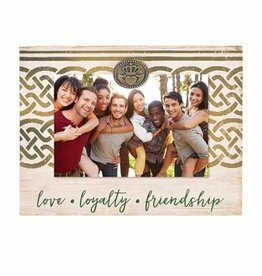 The top of the frame has a celtic knot metal design and says "Friends". Wonderful gift for a friends birthday or hostess. 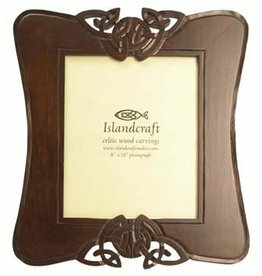 This intricately hand-carved wooden frame holds an 8" x 10" photo and shows the craftspersons skill in the delicately interlacing lines. 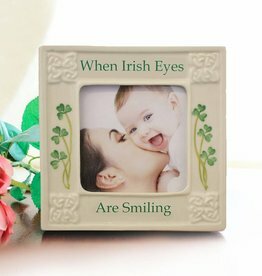 Makes a lovely gift for a new home! 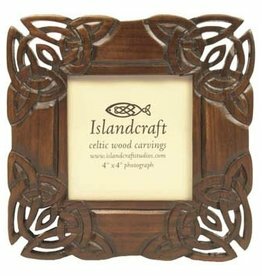 This intricately hand-carved wooden frame holds a 4" x 4" photo and shows the craftspersons skill in the delicately interlacing lines.